Unique fox fur hats, tails and even rabbits foot key chains. Davy Crockett hats just like back from the 50’s. A truly timeless classic…Rubber band guns are enjoyed by both kids AND adults as well. 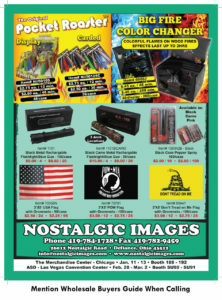 Choose from rubber band rifles, pistols and even a rapid fire gatling gun. You can even get ping pong ball guns as well. 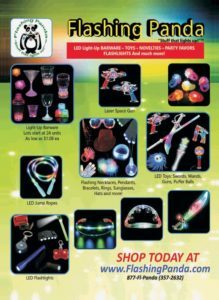 The best toys, light-up items, party favors and fun products to liven up your party, or give as gifts. Clever solutions to hide your stuf! 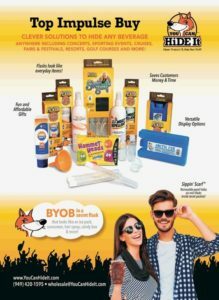 The most unique and clever items to hold your alcohol or other liquids. These products look like normal everyday items, but can hold your booze or soda. Show your love for your pet with these incredible signs available for virtually any breed of dog. Sports fans, we also have signs for you as well to show your team loyalty. The coolest signs to decorate your room, business or garage. Our signs are unique and real conversation starters. 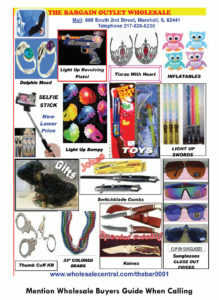 We also carry bobble heads, magnets, sports related merchandise, flags etc. 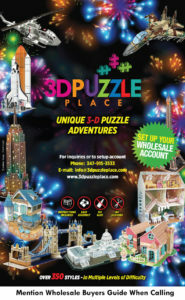 Our 3d puzzles are fun to build and really bring your imagination to life. Choose from many different puzzles with different themes such as ships, military, doll houses, castles and much more. Truly fun both for kids and adults. Cosmetics and health and hygiene items by the bulk or individual. Makeup, shampoo, dish soap, deodorant and other items of your choosing…The more you buy, the more you save. 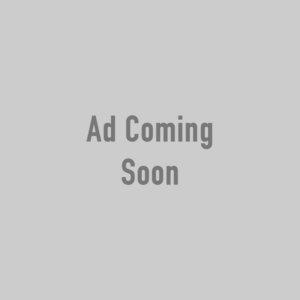 The best fashionable accessories for any girl’s wardrobe, we offer hair clips, barrettes, bows, scarves, jewelry and other items to help make the perfect fashion statement. 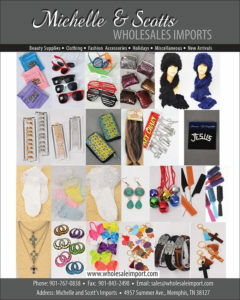 The most variety when it comes to sunglasses, jewelry, scarves, socks and the latest in fashion trends. We always have the latest styles to choose from. Discount apparel for men, women, & children. Call us for pricing! 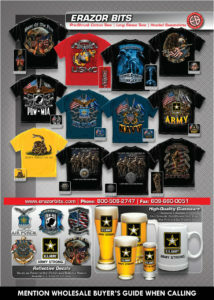 We carry t-shirts with military themes as well as law enforcement & public safety. Also check out our bar glasses!